First up is Lauren! 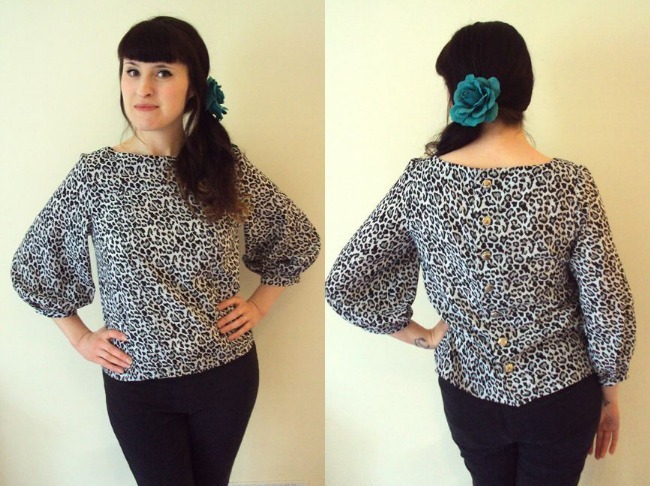 Lauren was one of my pattern testers and this is her second version of the blouse. "The thing I love most about the Mathilde Blouse pattern is the crisp clean lines of the tucks at the front. They were a little tricky to get right but the detailed instructions were fantastic at taking you through step by step and I couldn't have done that bit without all the clear pictures. There are so many options for customisation as well. I wanted to highlight the division between the yoke and front bodice and I did this by choosing a contrasting piping. I also edged the sleeves with the same contrast fabric as I think it breaks up the print a bit more and adds a lovely detail. 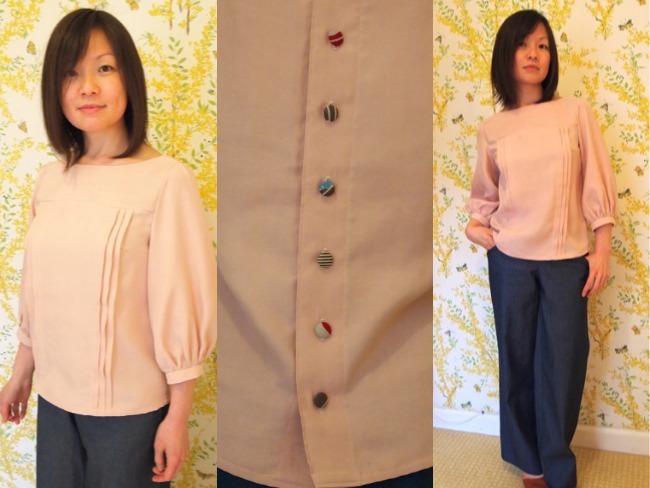 Choosing pretty buttons also allows you to put more of your personality on the blouse and make the back a feature. I love little capped sleeves, especially as its coming into Spring so I aimed to keep mine a little puffy and full, like the sleeves in the original design. It's one of those patterns that makes you think of so many variations, but at the same time, you wouldn't feel like you were wearing the same blouse all the time." Mai made a second version in a beautiful ballet slipper pink sandwashed silk - swoon! "I chose the fabric because I wanted a complete contrast to my crazy blue and black abstract version, and I wanted it to look more like a vintage piece, slightly faded and 1930s, and the perfect companion for some wide-legged trousers. I wanted a tiny splash of colour for the buttons, but still quite muted - though they all look different, they're all made from the same small square of cotton kimono fabric. I've never worked with sandwashed silk before, and I discovered that 1. the suede-like surface marks really, really easily, so you may well need to give it a gentle wash at the end of the making process to freshen it up! 2. use the lightest, gauziest interfacing you can find 3. the beauty of the silk makes it all worthwhile!" "The moment I saw the Mathilde Blouse, I had to have it. It's everything I could ask for from a blouse. 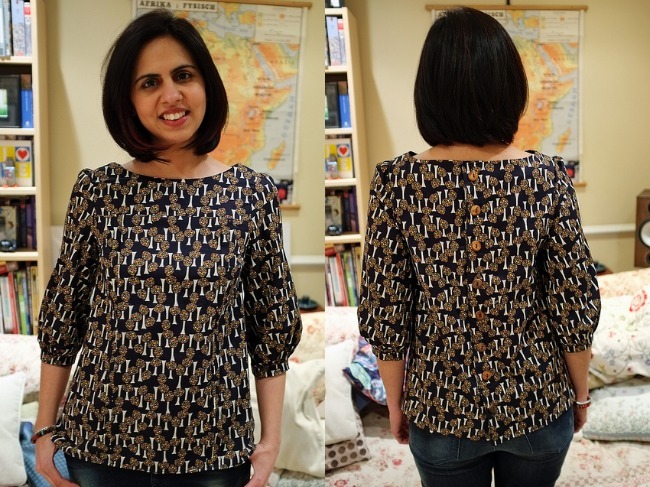 It's perfect for dressing up a pair of jeans, and there's so much scope for personalisation - I already have ideas for a contrast yoke, shorter sleeves, sleeveless for summer, gathers instead of the vertical tucks. The instructions are genius: I love the tick-box approach - it's so satisfying to tick things off as you along, and it really helped break down the sewing into manageable stages (an ideal way to manage sewing over the week, when you have limited time). 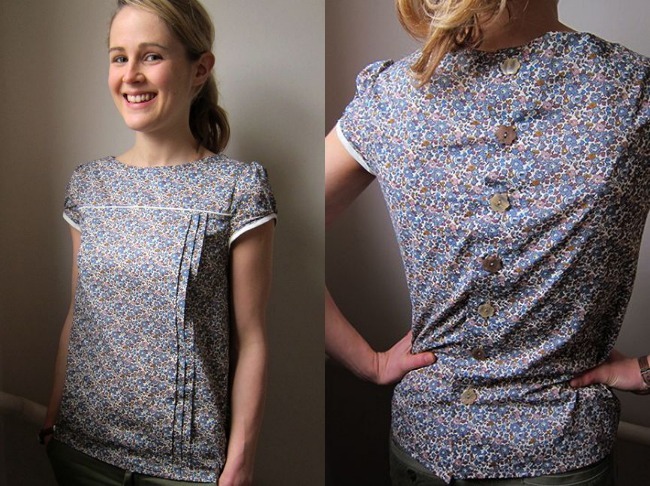 Cotton lawn is my fabric of choice, so I'm delighted it works so well with this pattern. This is the first of many Mathildes." And last but not least, gorgeous Zoe in her gorgeous animal print design! 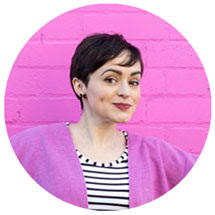 "In recent years I've tended to opt for fitted retro-style blouses, so I was a little concerned how I'd feel in the blouse, but I totally love it! The beautifully drafted bateau neckline and subtly gathered sleeve heads are my favourite features. I'd love to see some versions with contrast fabrics used on the yoke and cuffs, or with lace or ricrac inserted in the yoke seam. I was thoroughly impressed by the amount of work and attention to detail Tilly put into making the pattern, instructions and everything else that went along with releasing it as flawlessly and user-friendly as humanly possible. 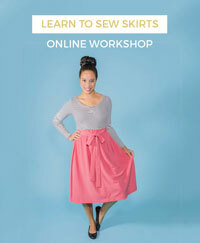 IMO, she has seriously put some of the well-known sewing pattern companies to shame in these regards!" Gah!!! Aren't they all gorgeous? And there are plenty more in the Mathilde Maker Gallery and Pinterest gallery! Guthrie and Ghani is Open for Business!